I, Zeb the Duck, and Chanel the Bear, took our moms to lunch. 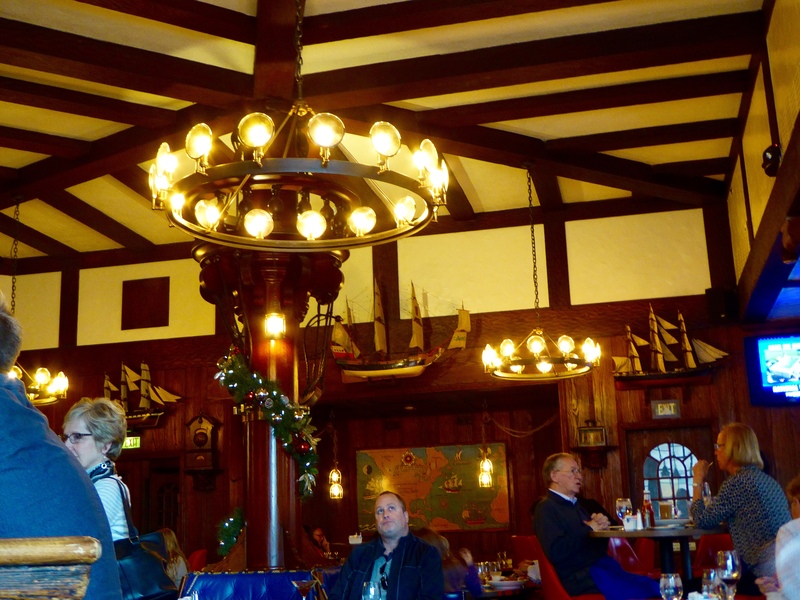 We went to the Ship Tavern at Denver’s Brown Palace Hotel. The statue in front is dedicated to the National Western Stock Show and Rodeo, held in Denver every January. 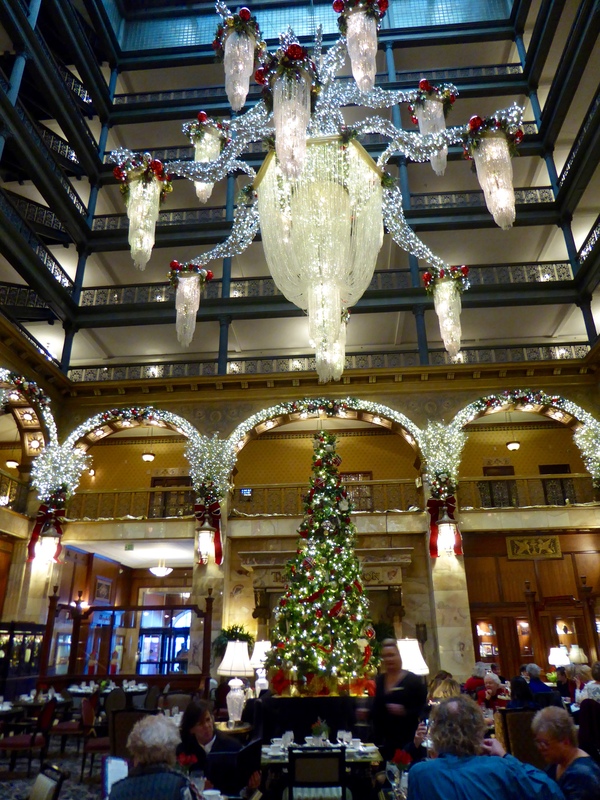 During the Christmas Season the Brown Palace has elegant decorations. High tea is being held now. 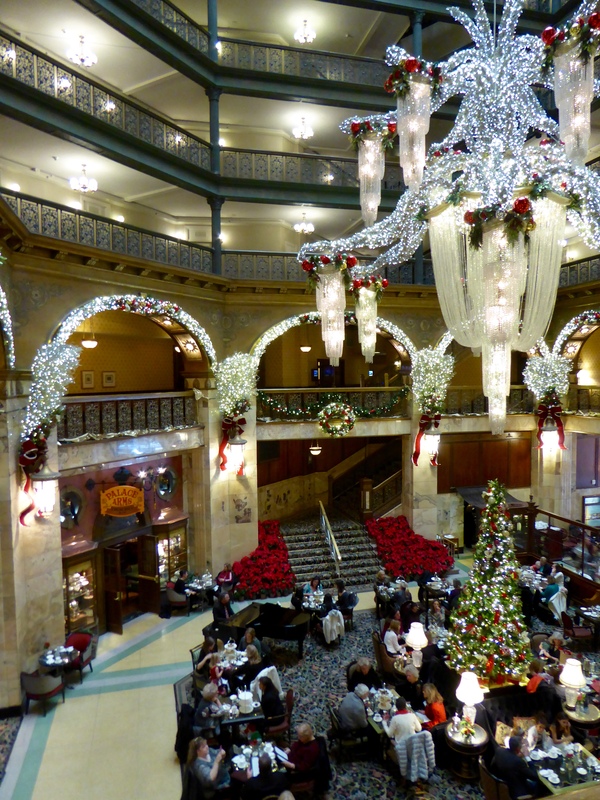 The Brown Palace has several dining options. Ellyngton’s looks good, but not for us today. Ellyngton’s was tempting, but it was not our main reason for coming today. 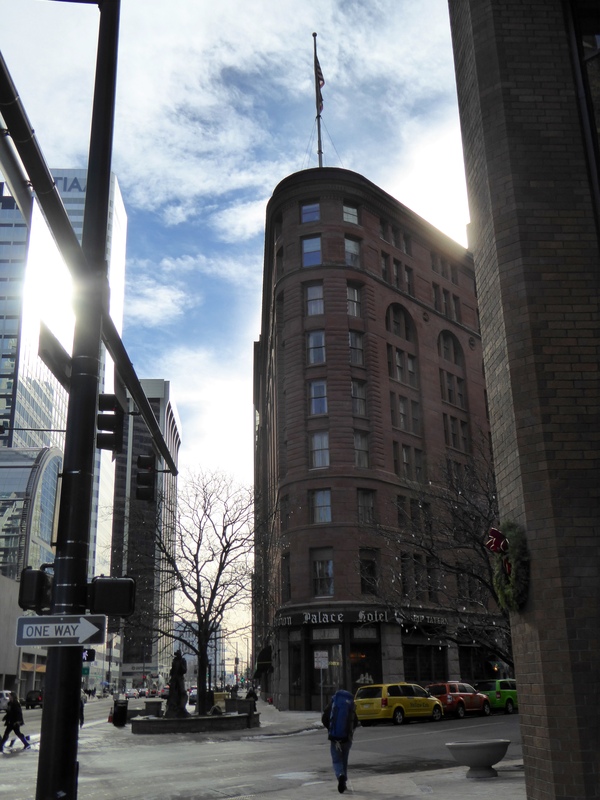 The Brown Palace, built in 1892, is Denver’s second oldest hotel. The Oxford Hotel, completed a year earlier, is the oldest. The Brown Palace was one of America’s first fireproof structures. That is impressive, but we were not here because of fires either. We wanted to eat at Ship Tavern. We, a duck and a bear, did not know humans made reservations for lunch. We did not make reservations. The lady said we could make a reservation for less than an hour from now. The extra time allowed us to explore. Outside we saw this sky bridge. The bridge connects the Brown Palace to what was built in 1959, as the Brown Palace West. It is now the Holiday Inn Express. Chanel and I wanted to walk through the sky bridge. We entered from the Holiday Inn Express side. This is a pretty walk. There is a service tunnel under the street, but we could not go there. 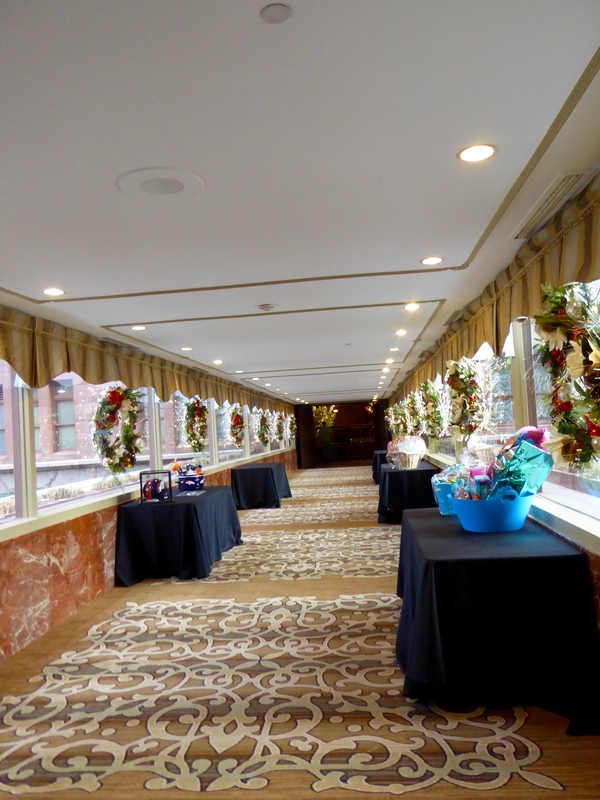 Entering the Brown Palace, we liked overlooking the high tea. The stairway has many red poinsettias. These flowers, from Mexico, are very festive. Why did Chanel and I want to go to the Ship Tavern? In 1935 when prohibition ended in the United States, Charles Boettcher, the hotel owner at that time, decided to celebrate and had the Ship Tavern built. 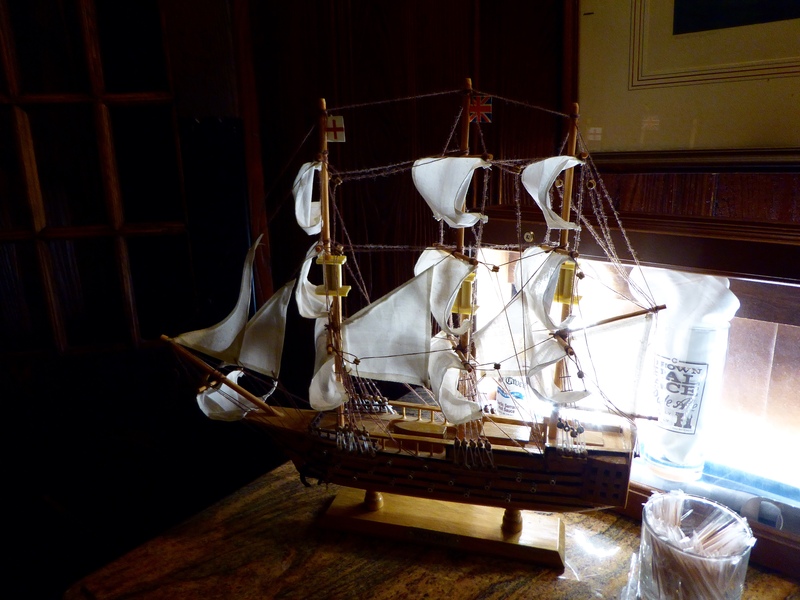 Mr. Boettcher had a large collection of model ships. His wife said he had too many. 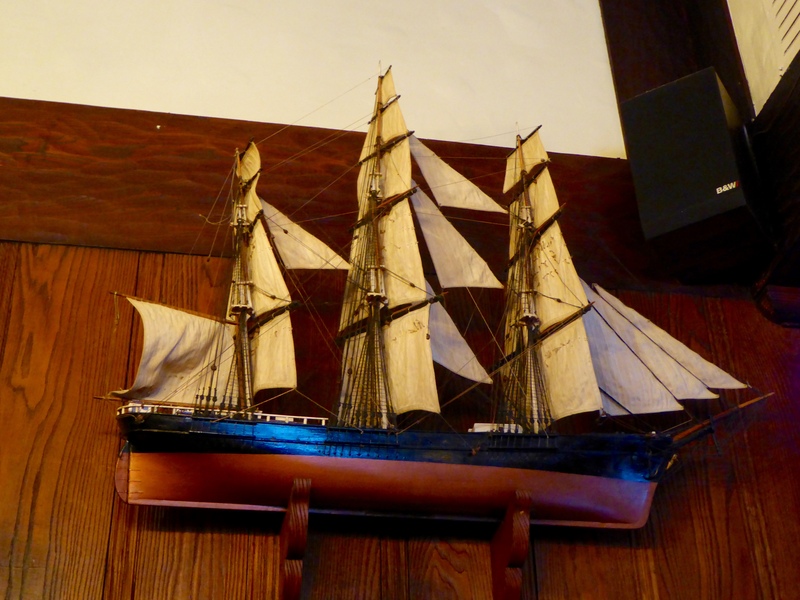 So, many of the ships are now on display in Ship Tavern. It is time and we are ready to enter Ship Tavern. We must stop to admire this ship at the entrance. 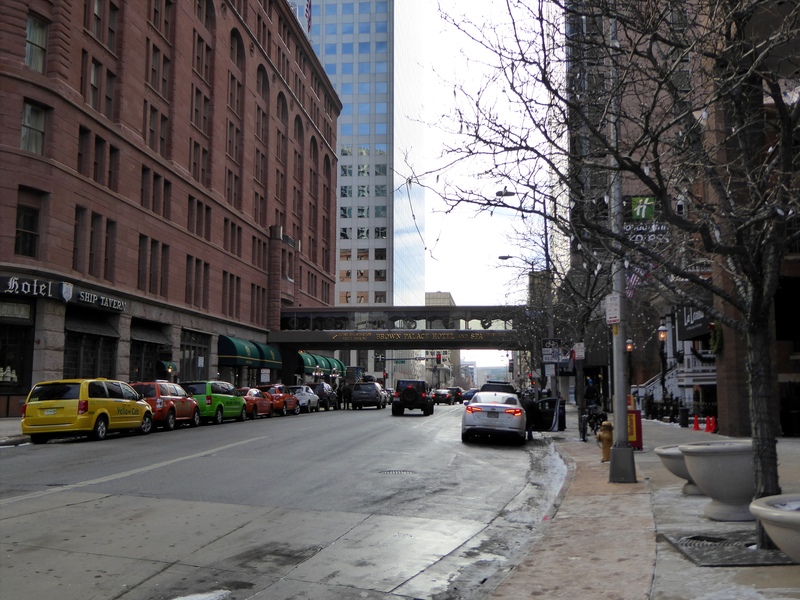 The restaurant is not large, but it is famous for the best prime rib in Denver. But, we just want sandwiches for lunch. Ships are displayed on the walls. We love these ships. Our moms liked their lunch and we all liked Ship Tavern. So many ships. Each is perfect and we enjoyed Charles’ ship collection. 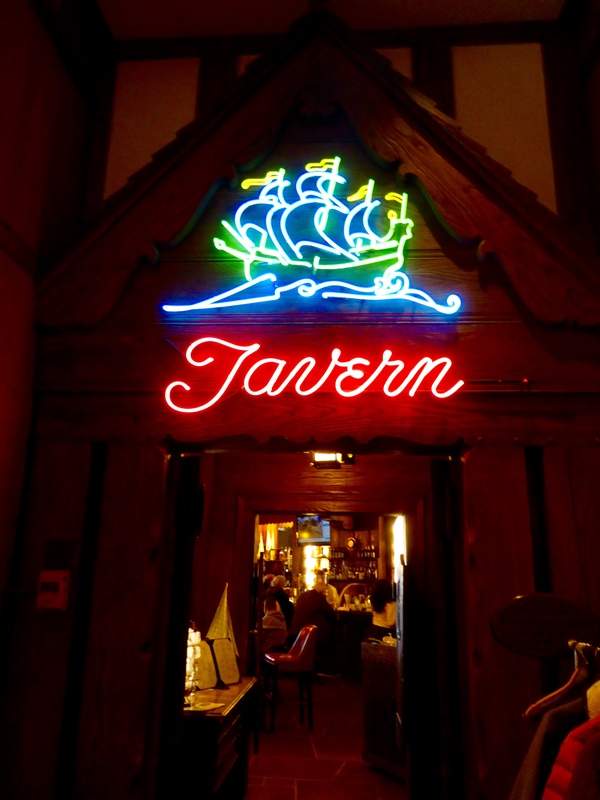 If you are in Denver and want to have a great meal, remember Ship Tavern at the Brown Palace Hotel. We might see you there. 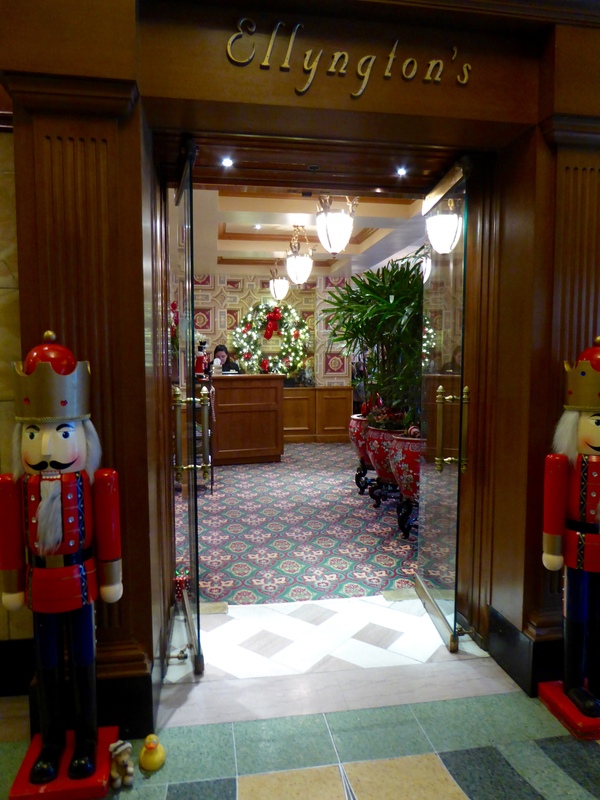 This entry was posted in Colorado, Uncategorized and tagged Brown Palace Hotel, Charles Boettcher, Colorado, Colorado Traveling Ducks, Denver, high tea, model ships, Ship Tavern, skywalk. Bookmark the permalink. 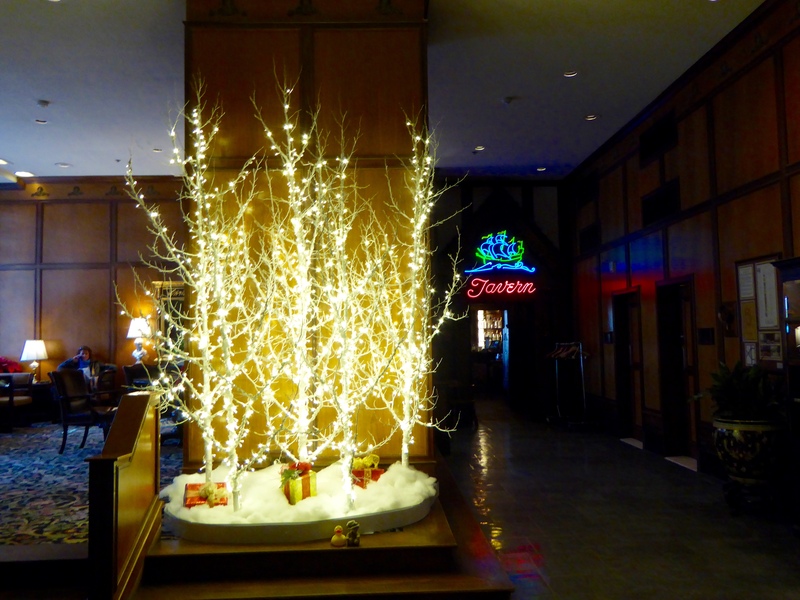 This was a fun day – great lunch and seeing the festive Christmas decorations. It was fun. Looking forward to visiting more Denver attractions with you and Chanel. We enjoyed it. Good food. Good service. And very festive. Glad you also tried the Brown Palace. Thanks for reading and commenting. Fancy, fun and very tasty. A good time. Thanks for reading and commenting.